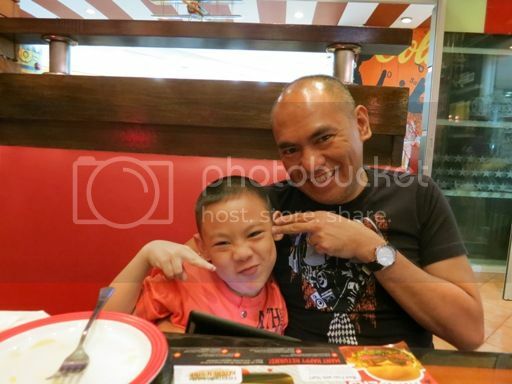 We were at TGI Fridays at Robinsons Galleria three Sundays ago to have dinner before heading home. We seldom eat here because we haven’t found something that we really like. We took our time carefully choosing our orders, and we ended up having Sizzlin’ Fajita, Pacific Grilled Pork Chop and Shrimp Popcorn. 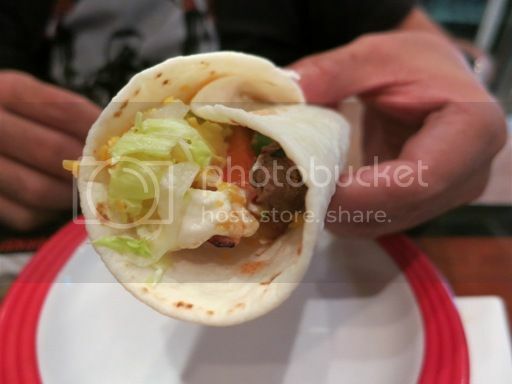 Because we enjoyed Burgoo’s Ultimate Fajitas, hubby suggested we try TGI Fridays fajitas, too. We opted for the Sizzlin’ Chicken and Beef Combo. 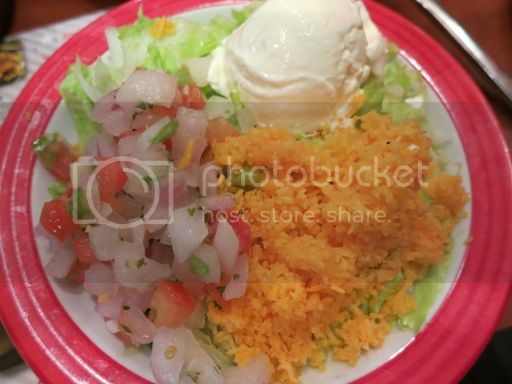 This is sizzling chicken and beef served on a bed of sautéed onion and red and green bell peppers with Colby cheese, sour cream, pico de gallo and flour tortillas. As you can see, this was actually good for sharing, but because I liked to eat rice, hubby allowed me to order what I wanted. Believe it or not, hubby finished the Sizzlin’ Fajita all by himself, and he said he’s on a diet. Lol! These are char-grilled spiced pork chops supposed to be served with garlic rice and seasonal veggies. My plate had two pieces of sweet corn on the cob, which hubby and I liked, and a slice of pineapple. They also served java rice, instead of garlic rice, but I didn’t mind; I actually enjoyed it. The pork chop was thick but tender and flavorful. This was for our little boy. He ate all the French fries and some shrimps dipped in tartar sauce, and I ate what’s left on his plate. I loved the crispy, succulent shrimps! 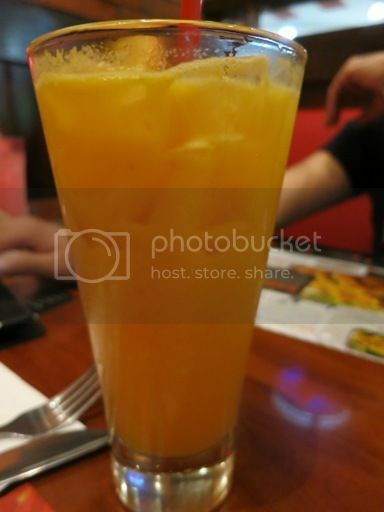 This freshly-squeezed 100% natural apple and orange juice with honey is again for our young man. Because he seldom eats fruits at home, making him drink natural fruit juices is the next best thing. I had a few sips of this; it was okay, but it needed a little more honey. I hate to admit it, but I ate a little bit too much. By the end of our dinner, my husband and I were so full. The little boy also enjoyed his food. I think we finally found something we like at TGI Fridays, and that’s a good enough reason to come back. 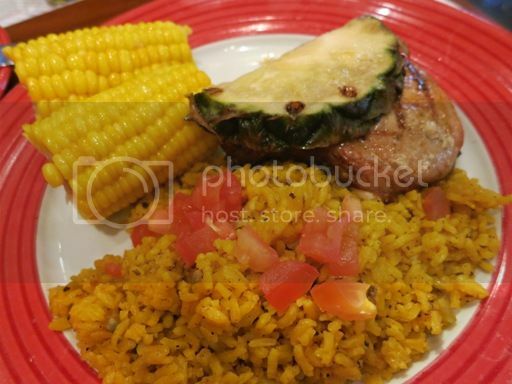 This entry was posted in American Cuisine, TGI Friday's. Bookmark the permalink. i know exactly what Ane feels! 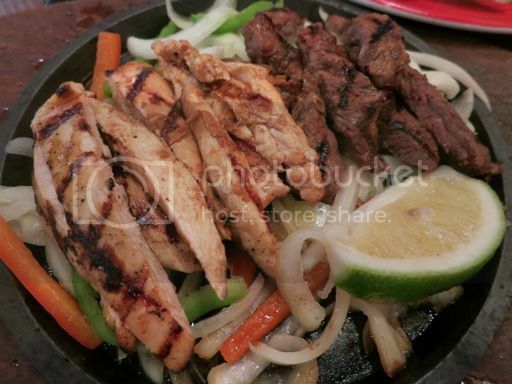 now am craving for food + dreaming of those tasty fajitas. I also always end up eating way too much whenever I go to TGIF. I guess more than the food, you get engrossed chatting with the people you’re with, you lose track of how much you’ve already eaten- or rather, devoured! 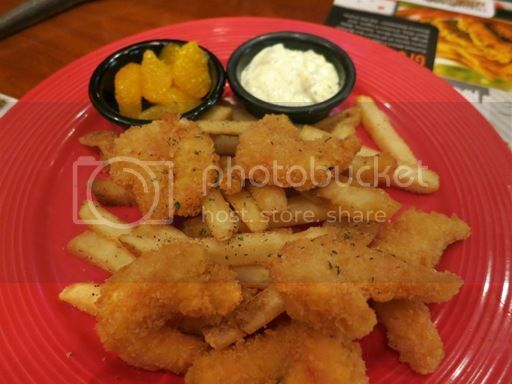 It would appear that you have found something to come back for at TGIF. The Sizzlin Fajita Chicken seems especially delicious. I’m drooling over your orders. Friday’s is my favorite most especially its potato skin with cheese.